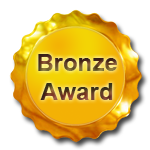 We are glad to announce that Sun Microsystems awarded us with a Community Innovation Bronze Award for "Java + Open Document = jOpenDocument". This equation has been the leitmotiv of our work for years. The team is honoured. Thank you Sun Microsystems. Thank you to all the talented people behind the Sun logo and their talented leader: Jonathan Schwartz. As the team leader of jOpenDocument, I wanted to thank Jonathan directly. First, I'm glad Sun Microsystems gave credit to an innovative project like ours. Thank you. Let's look at the history. In 2003, when Java was 1.3.x and OpenOffice 1.0.x, we (the gang of 3 Java coders forming ILM Informatique) developed a 'framework' to create and manipulate OpenOffice 'sxw' files. At that time we thought that it was innovative! That 'missing part' of the ODF world was used in all of our applications and aimed to respond to customers' needs. In production since 2004, it generated thousands of OpenOffice documents and some months later OpenDocument files, the internationnal standard. In April 2008, we decided to share it under the name jOpenDocument and visited JavaOne in San Francisco. In November 2008, big vendors are back and are launching odftoolkit.org. I bet we will see our visitors rate fall under the current 300 Java developers a day. C'est la vie and I'm not unhappy with your announcements however. We are positive and innovative guys. "We want to work together, we want to join hands". At ILM Informatique, our hard drives are full of innovative code and projects, as our jOpenDocument was in 2003. Let's see if we could share effort. I'm convinced that [Open]Solaris, Java and ZFS are state-of-the-art technologies which will need their innovative products in order to reach a vast public. Why did we have to wait for Apple to see millions of glossy computers powered by ZFS ? Every small company, our typical customers, need a black box under the desk to store/manage/index their precious data (access them from anywhere 24/24h, of course !). Let's do it. Jonathan, if you want to escape the silicon world of the Valley for some hours and share our passion of technologies, I invite you to my house for dinner - sur le vieux continent. "I'll cook, you bring the wine". CEO and founder of ILM Informatique, France.